Contempo is a South African fashion brand which sells women’s clothes, footwear and accessories with a focus on high-quality, trendy and affordable products. Alicewear, the company running the Contempo brand, manages 55 stores throughout South Africa, for a total of 125 POS. In 2011, Contempo started researching a new retail solution. The chain needed a comprehensive solution which would be fit for their needs straight out the box. Contempo’s ideal system had to be 90% fit for the business, with a small amount of customization required in order to adapt it to the company’s unique business processes. Total visibility and integration were on top of the requirements list. The system would need to be an all-in-one solution, which could be used to manage the whole business from POS to back office. Contempo also wanted to be able to keep total control over the stores’ sales and stock levels throughout the day. Contempo evaluated various management solutions before deciding on LS Nav, based on Microsft Dynamic NAV. Schalk Louw, IT Manager of Contempo, says that LS Nav looked like the right solution for their business needs. The customization needed was minimal: the system already fitted 9 out of 10 of Contempo’s requirements. While working on the implementation, Contempo faced some challenges with replication. In hindsight, the IT manager wished he had had more time to test the system thoroughly before going live. The issues were however soon overcome, and now Contempo runs LS Nav across 55 stores with 125 POS terminals – plus 25 head office users. Contempo’s mission is to provide customers with a unique, enjoyable shopping experience. With LS Nav, Contempo is now able to ensure that customers have a great experience at the point of sale, with quick and efficient processing. The POS are also very easy to use for cashiers. With a fully integrated system, Contempo can now calculate its financial reporting rapidly and with ease. The system also allows management to access store statistics, improving the company’s ability to analyze its results and take the right decisions for the brand’s future. 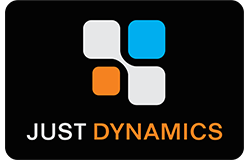 Just Dynamics Software Solutions is the largest Microsoft Dynamics NAV partner in South Africa with around 60 clients and the two largest concurrent usage sites in Africa.